Sport is a part of the social policy of Turkmenistan. In this light, new sport facilities are being constructed in Ashgabat and regional centers. They are equipped with all necessary equipment for practicing various kinds of sport. There will be a new building of the School of higher sport mastery of Turkmenistan. Sport schools of heavy athletics will be built in Dashoguz, Mary and Balkan regions in compliance with the highest requirements. It is planned to build a modern specialized school of chess and drafts. 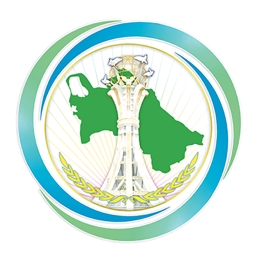 Regional centers and Ashgabat city will have sport facilities meant for various competitions in running and cycling. In order to raise the qualification of coaches, it is necessary to arrange their training at the foreign sport schools. In order to work and prepare the national team of the country for the competitions, it is necessary to invite experienced coaches and conclude contracts with them. In this connection, the National Leader instructed to work out the Regulations. According to that document, qualified trainers and sportsmen will get an opportunity to practice sport on a contractual base. In order to widely attract young people to sport and promote the interest of supporters, it is necessary to apply the latest and cutting edge methods and technologies, new developments in science and techniques and arrangeexciting competitions. International competitions in new kinds of sport are to be held regularly. They stimulate the interest of young people in hockey, figure skating, rowing, cycling and horse-riding. One of the main tasks set before the State Sport Committee is to develop mass health movement and Olympic movement, propagate and introduce healthy way of life, attract citizens to practice sport and active recreation. In this connection,the Head of State said that it was important to make effective use of the new sport objects equipped with latest technology and sport equipment. According to the President of Turkmenistan, special attention must be paid to the preparations of the V Asian Indoor games and martial arts tournament to be held in 2017. We must make certain that Turkmen sportsmen get prizesand winning places in competition and other international tournaments. It is remarkable that Ashgabat city became the first city in Central Asia which got the right to host these prestigious games. As known, on November 5, the foundation of the Olympic city was laid in Ashgabat. This multipurpose complex includes 30 facilities. They includea paralympic complex and rehabilitation center. The President of Turkmenistan GurbangulyBerdimuhamedov said that about 2 billion US dollars would be allocated for the implementation of the first stage of the project. As of the Asian games, its program will include competitions in heavy athletics, running, basketball, volleyball, handball, mini-football, classical wrestling, judo, taekwondo, national wrestling “goresh,” tennis, table tennis, gymnastics, cycling and etc. Additionally, according to the decision of the Olympic council of Asia in the Asian Indoor games, there will be sport competitions in the types of sport not enlisted in the program of the Olympic Games. There will be competitions in cybersports, extreme sports, aerobics, field and track events, sport dances, football in a closed hall, hockey, swimming, bill-yards, bowling, chess and some others.